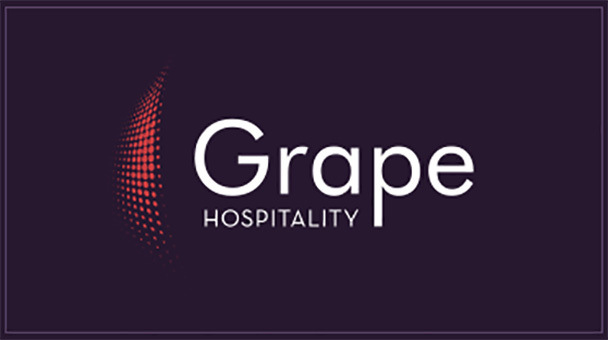 You are now connected to the grape-hospitality.com website. By accessing this website, you agree to these conditions of use. This website is published by GRAPE HOSPITALITY, a simplified limited company under French law registered in Versailles under No. 823737481, with registered office at 4 Avenue Morane Saulnier 78140 Vélizy-Villacoublay. This website has been designed by Communication Média Partner, 5 Rue Hoche, 92300 Levallois Perret, FRANCE. No material from this website may be copied, reproduced, modified, republished, uploaded, distorted, transmitted or distributed in any way or on any medium, whether in part or in full, without the prior written permission of GRAPE HOSPITALITY other than strictly for personal, private and non-commercial use and without altering any of the elements of the site. Any other use of this website or any of its elements which is not specifically authorised will be deemed to be an infringement of the rights of GRAPE HOSPITALITY and as such liable to penalties for counterfeiting under Articles L. 355-2 ff of the Intellectual Property Code. The photos used on this site are not contractually binding. Photo credits: Abacca, Portrait 2.0, Sereho Marketing. Some content has been produced by the CMP Agency. All information accessible via this site is provided “as is”. GRAPE HOSPITALITY gives no explicit or implicit guarantees and cannot be held responsible for the use of this information. Visitors to the site are solely responsible for their use of the information. GRAPE HOSPITALITY reserves the right to amend these conditions at any time, in particular when up-dating the site. GRAPE HOSPITALITY cannot be held liable for any loss, whether direct or indirect, arising from information contained in the site. Users agree not to transmit on this site any information which could involve civil or criminal liability and not to disclose on this site any information which is illegal, in breach of public order, or defamatory. GRAPE HOSPITALITY does its utmost to provide users with information and/or tools which are available and verified, but cannot be held responsible for errors, unavailability of information, or the presence of a virus on its website.